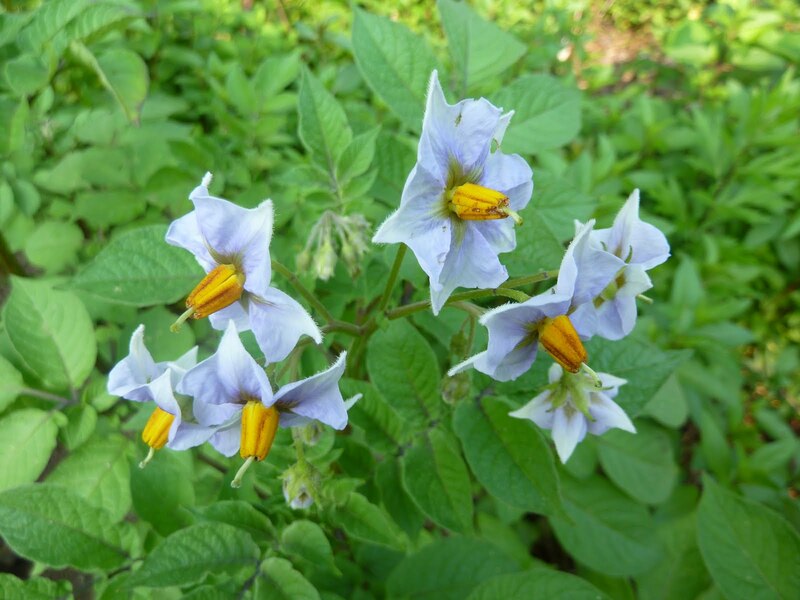 I went down to my vegetable garden today to take photos of other stuff I’m going to blog about soon, and was pleased to see that all my Blue Adirondack potatoes are in bloom. Blue potatoes have blue flowers! Which makes sense, I guess; white potatoes have white flowers, and red potatoes usually have pink flowers. Blooming much too late, of course; don’t they know it’s 90 degrees out? Hmph. What pretty flowers those blue potatoes have. 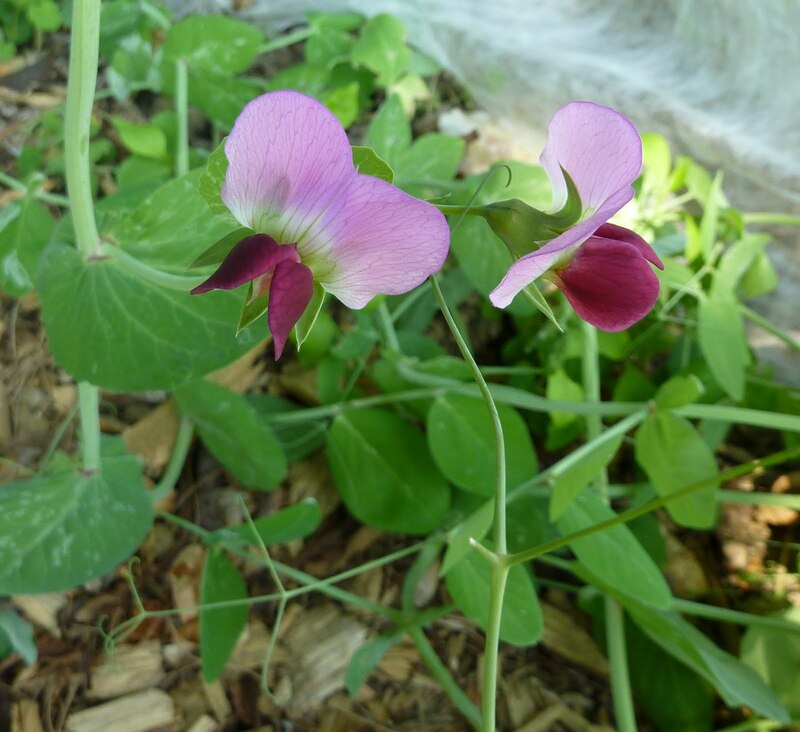 The snap peas are great too. Looking forward to seeing the demo garden soon! Hope you're enjoying all your flowers and edibles too!